In the aftermath of the election, conservative media figures have alleged that Democratic candidates’ emphasis on climate change was a reason they lost, claiming this focus alienated or drove away voters. But numerous polls conducted in the run-up to the election indicated that a majority of Americans consider climate change an important issue and favor government action to address it, and an exit poll similarly revealed that most voters in Florida view climate change as a serious problem. 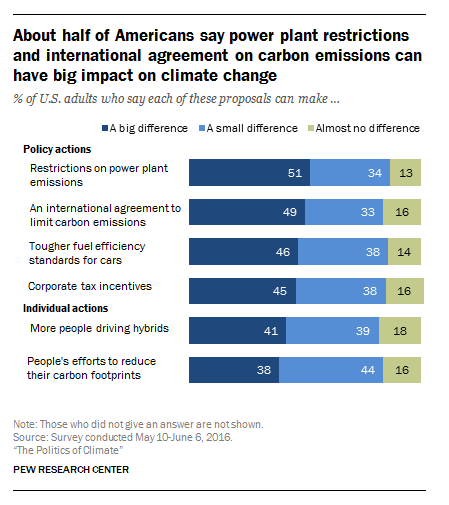 While these polls indicate that a focus on climate change didn’t harm environmentally friendly Democratic candidates, a plausible explanation for why the issue may not have helped them is the lack of attention it received from the media, including during debates. Bartiromo made a similar claim the following day on her Fox Business show Mornings with Maria. During a discussion with Fox News host Sean Hannity, Bartiromo said that Democrats were “ignoring what American people want” and expressed disbelief that Democrats were “still talking about climate change” after the election.